They say diamonds are a girl's best friend, but girls have a lot of best friends & one of them is makeup. I have a couple makeup staples -- mascara & lipstick -- but eyeliner is close on the list because it tends to add a lot of dimension & personality. 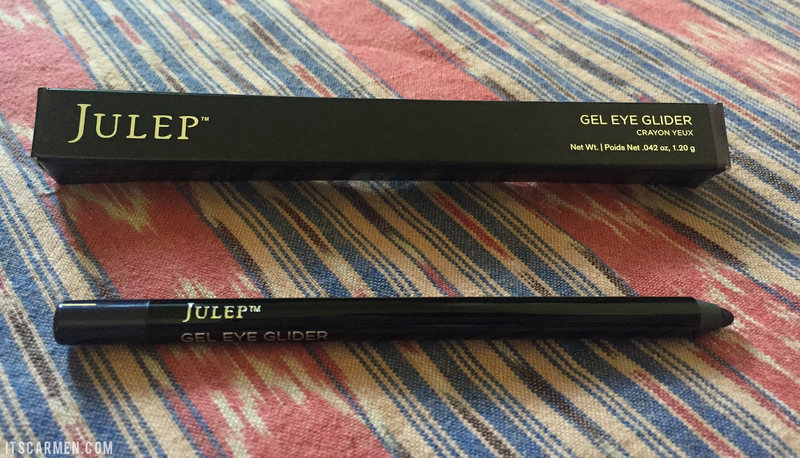 Today's review is a product I received in my Glossybox: the Julep Gel Eye Glider in Smoky Plum. Let me begin my saying I subscribed to Glossybox for 6 months at $20 per box back in December. I found a few items I adore. However, I have since unsubscribed. Too often do I receive items that aren't for me. But that's just how the cookie crumbles sometimes. Okay, now back to talking about the Julep Gel Eye Glider. This product retails at $12.80. The packaging makes the Smoky Plum color appear quite purple. 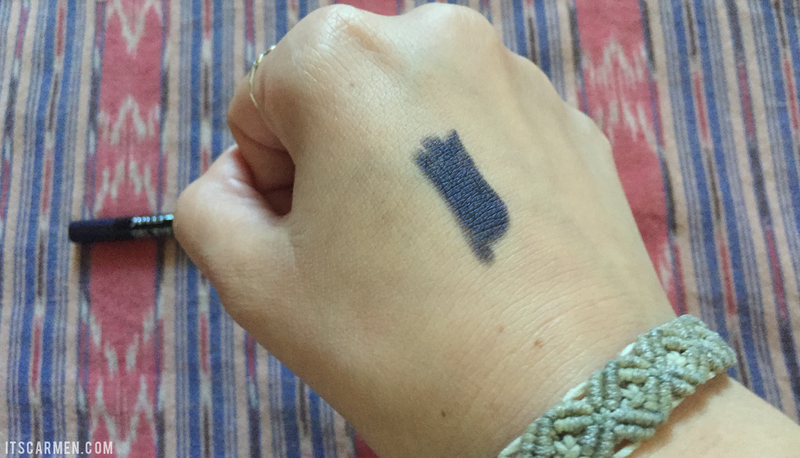 Once you swatch it the shade turns out to be kind of a musky midnight blue with purple flecks. 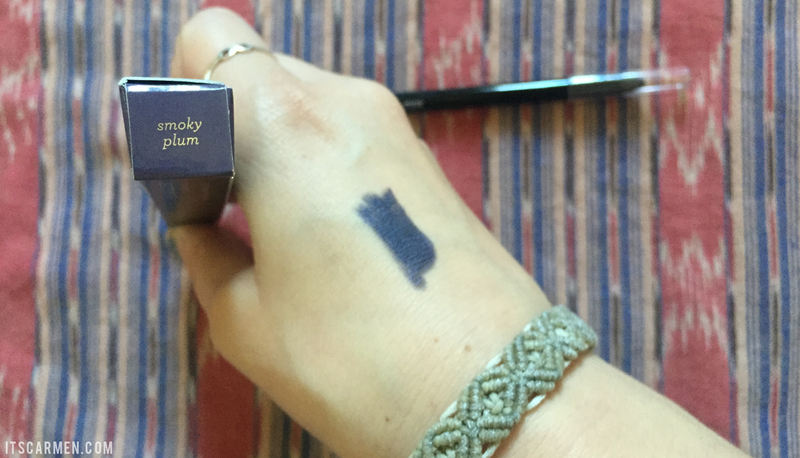 It's mildly purple & not going to give the look of bold lilac around your eyes. In sunlight you can see more of the purple hue. A selling point for me was the fact that it's paraben free, sulfate free, & cruelty free. I am trying to make the switch to natural, plant based, cruelty free products. 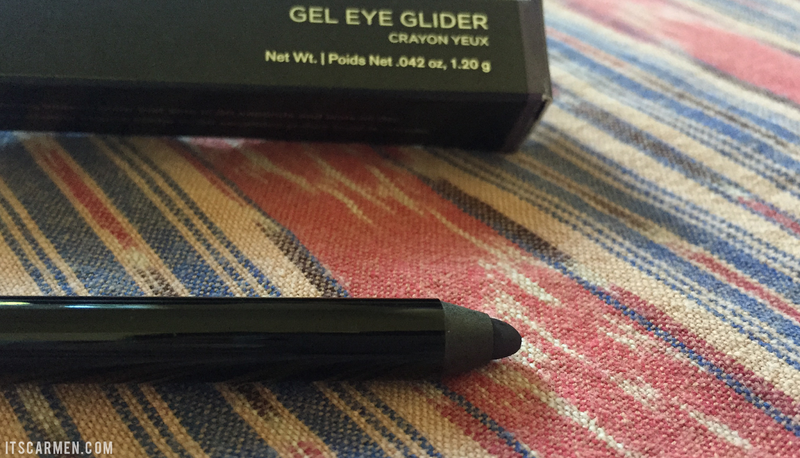 The Julep gel eye liner applies smoothly & beautifully, like butter. No dragging or pulling here. The waterproof eye glider sets within 30 seconds or so. If you want to blend it to create a smoky eye, you may have some trouble. Once applied & dry, it has a powerful lasting power. It will stay through your day with minimal smudging. I have oily lids so that's something to keep in mind. If your lids are oily, this product may smudge sooner than its "clinically proven to last for 10+ hours" claim. After a few hours & some rubbing, the color isn't as vibrant but it's still quite impressive. You need a standard sharpener to make the tip fine, as it wears down pretty easily. They weren't kidding when they named this liner as a "glider." The product glides on no problem. I've only used a handful of Julep products, but they tend to be winners in my book. I've learned to love this eye glider & I like the softness of the smoky plum compared to a harsh black. I love the midnight blue colour of this product. I really want to try a glossy box but I feel like it is such a commitment. it does look pretty smooth even with those swatches! This looks great! I've had a lot of problems with eyeliner, as I find that pencil smudges too easily, pen fades too quickly, and liquid is just way too hard to get right! Right now I'm just using a black gel pallet with a thin brush- it's much easier to get the line close to the lash line using a small brush. What a great color! I love the idea of subscription boxes. I actually just subscribed to Birchbox because I got a special offer code that would let me get one month for $1. Since I don't live in the US though it doesn't really make sense for me to continue my subscription. I'll keep it for another month since I'll be back in the US in July and then cancel it. Glossybox seems to be one of the nicer boxes I've seen because they give you full-sized products, right? And one that seems to be even better than Glossybox is Boxycharm. Have you heard about that one? I love the color of the liner! I like the concept of subscription boxes but they either don't ship them where I live or they're too expensive! Thanks for the review!! Cute photos!! Julep has amazing nail polish as well! I didn't know this brand but the eye glider sounds great. Sounds like a great one. Happy Friday. 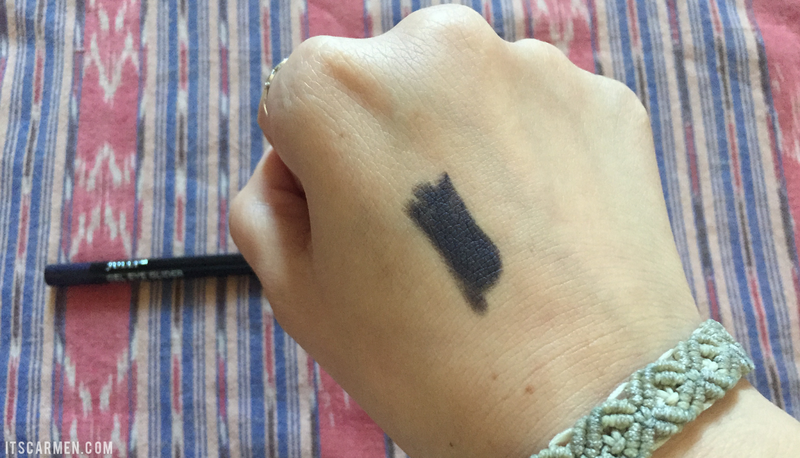 I've never tried Julep products, and I don't actually use eyeliner pencils very often. I usually go for the smudge look so stick with using power to line my eyes. The color is pretty though, subtle but still adds a bit of color. Thanks for sharing! 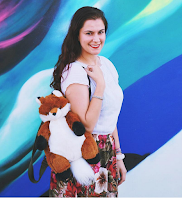 I love the color of that eyeliner!I am going to give it a try soon.Just came across your blog and I am LOVING IT! I never knew I had oily eyelids but I suppose I do, and that's why my eyeliner ALWAYS gets in the creases of my eyelids. Super annoying. Have you found any eyeliners that are just absolutely exceptional for smearing? I've only ever liked the mascara from Julep, glad to hear they have other good products now! You had me at "powerful lasting power", ahah ! Lovely colour though, subtle but it's a nice alternative to change make up routine a little without going overboard ! Looks lovely! I love purple eyeliners. Too bad it didn't turn out more purple though! This eyeliner sounds great! It's a must try, I guess!